German EPC Goldbeck Solar shares the unfortunate details of a botched module supply deal with China Sunergy. To date, Goldbeck Solar claims it is yet to receive a single module and has been let badly out of pocket. Goldbeck Solar is active as an EPC in both the utility scale and C&I space. Editor’s note: 2018 is proving to be a record year for solar in Australia – across the residential, C&I and utility scale market segments. With stretched supply lines, dangers present in terms of securing modules. The following story from Germany illustrates just how badly things can go wrong. In 2017, Goldbeck Solar signed a module supply deal it would live to regret. Monika Leiner, purchasing manager at the German EPC company shares some learnings from the botched deal. Last European autumn, Goldbeck Solar signed a PV module supply deal with China Sunergy. The former claims it has not yet received a single module, and has only been refunded a fraction of the deposit paid. As China does not have a dispute resolution process corresponding to the European model, it is unclear whether the remainder of the deposit will ever be reimbursed. Only after immense pressure from the EPC did the Chinese company acknowledge the existence of the financial claim, says Goldbeck Solar. The scene for the failed deal was set by the tight module supply situation that gripped the market in mid-2017. Many German EPCs primarily buy modules for their projects from Chinese suppliers – and were caught particularly short of product at this time. “We contacted all the tier-1 suppliers we usually work with, but there were simply no modules left,” says Leiner, in an interview with pv magazine. The source of the overwhelming demand was the Section 201 process, which resulted in modules produced outside of China being in short supply. In July 2017, Goldbeck Solar established the first contact with China Sunergy (CSUN) Eurasia Energy Business. The Turkish-based subsidiary of the Chinese PV manufacturer offered to supply 6 MW of solar modules from its factory in Turkey. Commencing in September 2017, 1 MW of modules were to be supplied each month, until February 2018. Goldbeck Solar had not previously worked with CSUN, but since the Chinese manufacturer is both a tier-1 supplier, and a stock market listed company, the Germany EPC followed up on the offer, reports Leiner. Due to the prospect of winning another EPC contract, Goldbeck Solar needed to bring forward the supply of the modules, requiring all 6 MW by the end of November. The two companies renegotiated the terms of the deal accordingly, with CSUN amending the delivery schedule and raising the costs for the supply, says Leiner. By the end of August, a basic agreement regarding the purchase of the modules from the Turkish CSUN factory was on the table and only needed to be signed. On September 1, CSUN then informed Goldbeck Solar that the modules would not be supplied from the Turkish factory, but would instead originate from a “partner” in China. The name, however, was not disclosed by CSUN. Goldbeck Solar thought that such an arrangement was potentially problematic and expressed concerns. The ensuing communication between the two companies saw modules promised from Thailand, says Goldbeck Solar, which were not delivered, and then from the United Arab Emirates. 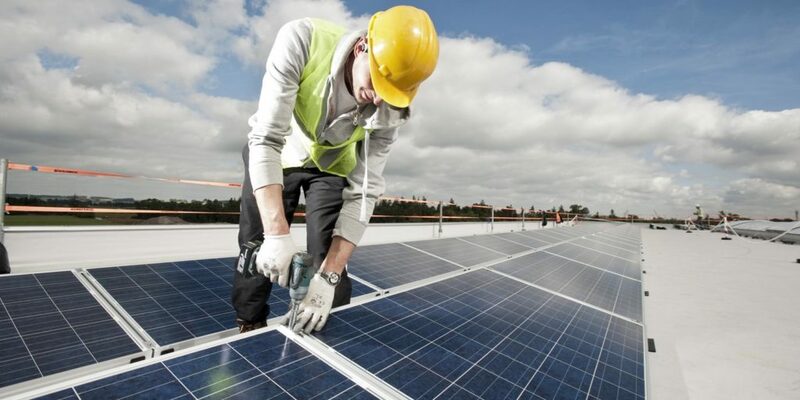 To provide the agreed services to Goldbeck’s client, to whom the completion of the project by December 15 was essential, Goldbeck Solar agreed to the terms – though only under the condition that the modules and cells were not to be produced in China, and that the deposit should be secured through a letter of credit from CSUN’s bank. CSUN agreed to the conditions, says Leiner. The following day, Goldbeck Solar was informed that Nanjing Sunrise Solar Technologies Ltd ­– a China-based subsidiary of CSUN – was party to the contract, and received a pro-forma invoice with the CSUN logo in the header. The delivery date of November 30 was also confirmed to the German EPC in black and white. In an additional twist, the Chinese supplier then changed the relevant subsidiary, leaving Goldbeck Solar to place its order with Hongkong-based company CSUN Trading Co. Ltd. On September 20, Monika Leiner was informed that no letter of credit could be provided for the deposit, since the company in question was simply the trading entity of the parent CSUN. Since Goldbeck Solar feared losing the pending EPC contract, it agreed to accept a Parental Performance Bond by CSUN, as security for the deposit. The letter set out that in case of a dispute, the corporate parent assumes the liability of the subsidiary. On September 26, Goldbeck Solar transferred a deposit of US$280,000 to CSUN Trading Co. Ltd. The following day, CSUN reportedly received a confirmation of the payment via email from its bank. Just three hours later, the Chinese manufacturer informed Goldbeck Solar that the agreed upon delivery schedule – the end of November – could not be met. The delivery of modules was allegedly not possible before mid-December. Goldbeck Solar, however, had binding liabilities resulting from the contract with its client; the delivery of the modules in December would definitely have been too late, Leiner explains. Therefore, Goldbeck Solar rescinded from the purchase contract. Naturally, the German EPC placed a claim for its deposit to be reimbursed. CSUN, however, did not react. By mid-October, Goldbeck Solar used the Parental Guarantee to demand that the corporate parent cover the liabilities of its subsidiary. Via a registered letter, Goldbeck Solar demanded CSUN reimburse the deposit of $280,000, however, nothing happened, says Leiner. In mid-November, Goldbeck Solar approached the German chamber of commerce, which contacted the trading subsidiary of CSUN, and confirmed the legitimacy of the claims. By the end of November, Goldbeck Solar was asked by the Chinese manufacturer for its bank details and a little short of $30,000 was transferred. “We are still waiting for the remaining $250,000 to this day,” says Leiner. For her, the problem is that China does not provide the same dispute resolution process as Europe. Meanwhile, Goldbeck Solar let Hong Kong-based law firm audit and enforce its claim. For this purpose, the EPC had to contract an accredited law firm that is permitted to represent it in China. This, of course, was not an inexpensive exercise, says Leiner. With a Chinese colleague, the EPC wrote a letter in Mandarin, though the process was as fruitless as the attempt to schedule a meeting with the company during a company trip to China in February. pv magazine also attempted to contact CSUN and its various subsidiaries in China and Turkey. CSUN either refused to respond to the inquiries, or stated that it has never worked with Goldbeck Solar. As a last resort, before litigation in China, Goldbeck Solar attempted to propose to CSUN, in a Chinese-language letter, that it pay in kind the outstanding reimbursement. “We offered the delivery to us of cells or modules to the equivalent value of the sum,” explains Leiner. “If this does not work, we will seek maximum penalties in our pursuit of the debt,” she adds. Although this can be expensive, too. Goldbeck Solar estimates the costs to exceed €50,000 for such a litigation, and this could take up to two years. To be able to fulfil the EPC contract, Goldbeck Solar reportedly bought modules from an alternative supplier. “For this we have paid the minimum import tariff of €0.37 per watt,” says Leiner. This was significantly more than what was originally agreed with CSUN. Considering the current thin profit margins in the EPC-business, it was particularly painful. At least Goldbeck Solar managed to complete the project by the end of the year for the client. The tenet Monika Leiner draws from this deal is clear: “We only work with first-class bank guarantees, from now on.” Furthermore, this was the first and last time the company worked with CSUN. Leiner has been in the business for 17 years and has only once experienced a similar case. Back then, it occurred with LDK Solar: In 2014, the Chinese PV-manufacturer fell into financial troubles and several subsidiaries had to report bankruptcy the same year. Contrary to CSUN, LDK Solar upheld communication throughout the six months it took to make its reimbursement. Following the first investigation by pv magazine regarding this matter, CSUN suddenly resumed contact with Leiner in March. The Chinese manufacturer presented a payment schedule for the remaining debt. According to the schedule, CSUN intended to repay the $250,000 in instalments between this April and October. According to Leiner, this was just a strategy to hold Golbeck Solar off. Her suspicions were confirmed when the first instalment of $20,000 was not made, even though CEO, Tingxiu Lu was involved in the agreement. Since then, all contact has broken off once again. “CSUN played dead ever since the purchase contract was rescinded. This is simply an abysmal business conduct by any standards worldwide. I can only dissuade all from conducting business with this company or any of its connected subsidiaries,” says Leiner – a particularly bitter bottom line. pv magazine will be hosting its 9th Quality Roundtable at Intersolar Europe on June 22. Be a part of the discussion about quality issues – and often sticky contractural disputes – by registering today. In 2018, and for the first time, the Quality Roundtable series is coming to Australia: on October 3, at All Energy Australia. Stay in touch with pv magazine Australia for the latest event details. Article translated from German by Marian Willuhn. Edited by Becky Beetz and Jonathan Gifford.